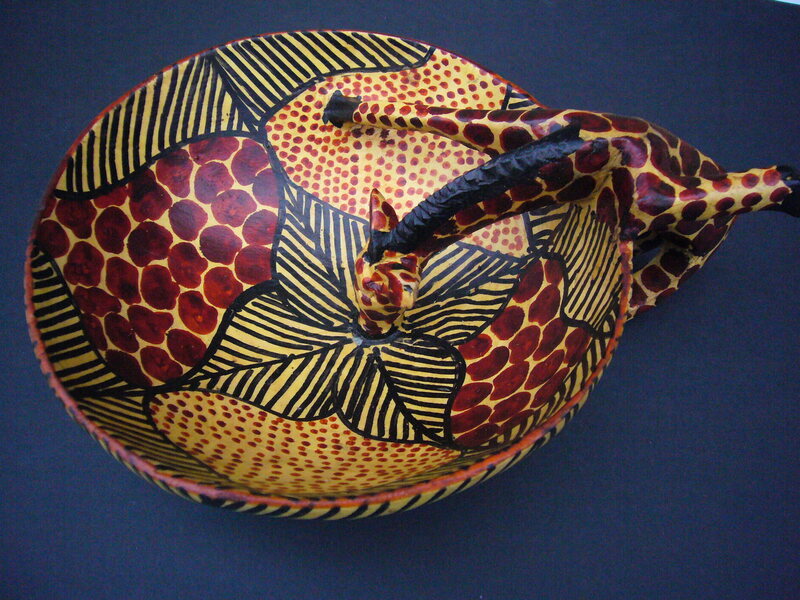 A quirky and decorative aperitifs bowl that is always a conversation stopper! 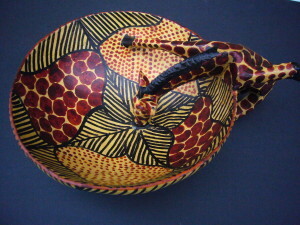 Giraffe handle with giraffe drinking from the bowl in handpainted African design. 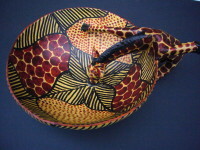 Approx width of bowl 6" and length 9". Weight of this item : 0.75 kg. Overseas customers - please note that multiple purchases of heavy items may override the Royal Mail limit of 2 kg per parcel and therefore necessitate more than one parcel. If this is the case, we may have to contact you after purchase to adjust postage charges.